Let’s have a party! Facebook Party October 25 at 11 am CST! Don’t you love parties? 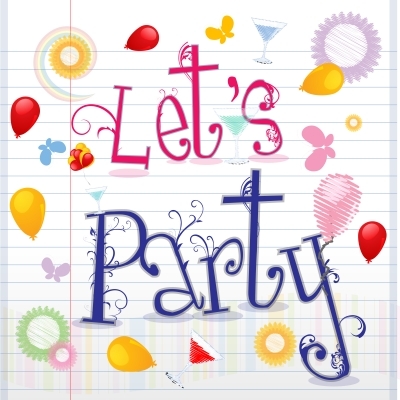 One of the best parties to attend is a Facebook party. If you’ve never attended a Facebook party, they are a blast! You make new friends, network, and you can win GREAT prizes just for coming! The theme of this party and my November online workshop is Fearlessly Forward. It’s based on Secretariat, the first U.S. Triple Crown winner champion racehorse in 25 years. Secretariat was created by God to RUN FAST – he had no fear in running! The movie Secretariat with Diane Lane is awesome! Like Secretariat, we need to keep pushing through all fear and intimidation to RUN the race well, to fufill our great purpose from God and pursue our passion! All you do to attend the Facebook party is sign into your Facebook account, come to the page a few minutes early, and wait for the party to begin. You refresh every few seconds to see the questions and everyone’s answers – and if you won one of the prizes! It’s a great way to make new meet new people, network, and share your website and about your business. You will love it! I hope to see you there on Tuesday, October 25, at 11 am CST! Tony and Susan, so glad that yall are coming! It’s going to be fun!